Dr. Heather Gainforth’s academic training in Health Promotion, Knowledge Translation and Kinesiology has fostered her belief that evidence-based health-promotion interventions and guidelines must be widely disseminated both in general and special populations. Her research aims to close the gap between health behaviour-change research and practice by examining knowledge translation – the act of moving research evidence into the hands of research users. Her Applied Behaviour Change Lab works to understand how evidence-based behaviour-change research is applied in the real world. Her team attempts to identify, develop, and implement interventions to change a variety of behaviours (e.g., physical activity, participation, smoking cessation) in the general and spinal cord injury (SCI) populations. 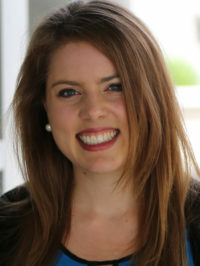 Her systems-based research is grounded in behaviour change theory and techniques and is guided by strong collaborations between researchers and communities. Dr. Gainforth is an ICORD Investigator and Assistant Professor at UBC Okanagan. She conducted her M.Sc. and Ph.D. at Queen’s University under the supervision of Dr. Amy Latimer-Cheung. Her CIHR-funded doctoral research aimed to understand the dissemination of the physical activity guidelines for people with SCI within a community organization. She conducted her post-doctoral research at the University College London in the Centre for Behaviour Change. Her CIHR-funded postdoctoral research was conducted in partnership with the English Stop Smoking Services and was supervised by the developers of the Behaviour Change Technique (BCT) taxonomies (Professors Michie and West). Since arriving at UBCO in July 2015, she has applied her behaviour change and knowledge translation background to continue to enhance the lives of people with SCI. She works with several SCI researchers and SCI organizations across Canada and currently holds SSHRC funding to investigate peer mentorship among people with SCI. Dr. Gainforth’s scholarship on the dissemination of the physical activity guidelines for people with SCI indicated that partnering with SCI organizations is important for ensuring findings are useful and translatable to people with SCI. Her network analysis research examining one SCI community organization indicated that peer mentors and SCI organization staff are important knowledge translation messengers within the SCI community. She investigated peer mentorship among people with SCI and found that that it is feasible to train peer mentors with SCI to use evidence-based behaviour change tools to support mentees. Dr. Gainforth also published the first book and article outlining the derivation of the 83 theories of behaviour and behaviour change, identified by an expert panel of psychologists, sociologists, anthropologists and economists as relevant to designing interventions..
Gainforth, HL et al.. 2019. RE-AIMing conferences: evaluating the adoption, implementation and maintenance of the Rick Hansen Institute's Praxis 2016.. Health Res Policy Syst. doi: 10.1186/s12961-019-0434-1. Sweet, SN, Michalovic, E, Baxter, K, Baron, J, Gainforth, HL. 2019. RE-AIMing conferences: a reach, effectiveness, and maintenance evaluation of the Rick Hansen Institute's Praxis 2016.. Transl Behav Med. doi: 10.1093/tbm/ibz002. Bourne, JE, Ivanova, E, Gainforth, HL, Jung, ME. 2019. Mapping behavior change techniques to characterize a social cognitive theory informed physical activity intervention for adults at risk of type 2 diabetes mellitus.. Transl Behav Med. doi: 10.1093/tbm/ibz008. Hoekstra, F et al.. 2018. A review protocol on research partnerships: a Coordinated Multicenter Team approach.. Syst Rev. doi: 10.1186/s13643-018-0879-2. Gainforth, HL et al.. 2019. Use of dynamic systems methods to characterize dyadic interactions in smoking cessation behavioural support sessions: A feasibility study.. Br J Health Psychol. doi: 10.1111/bjhp.12347.